It’s a percussion party and you’re invited when local favorite band Drumplay visits Lakewood Public Library for Week 6 of LakewoodAlive’s Front Porch Concert Series this Friday, July 27. 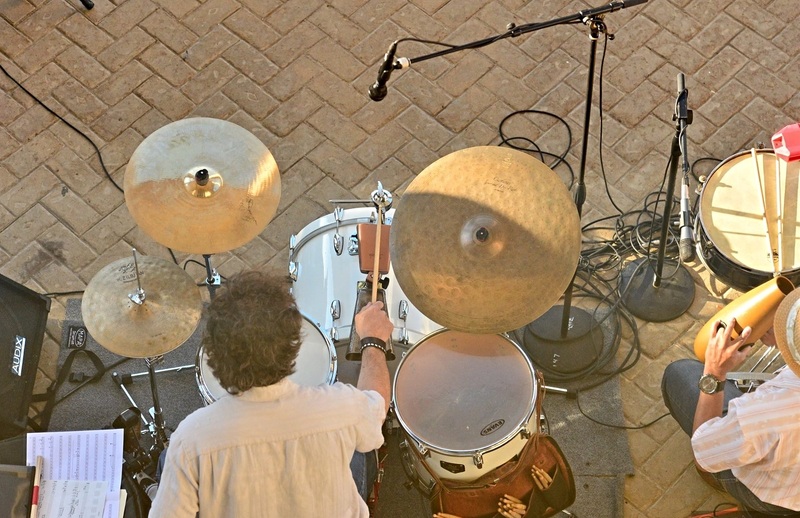 Drumplay takes the stage on July 27 for Week 6 of the Front Porch Concert Series. 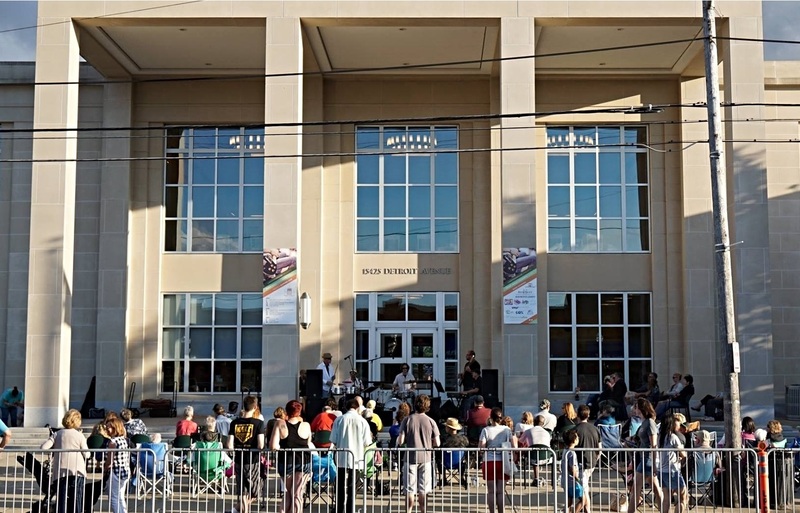 Sponsored by Bentley Wealth Management of Raymond James, the Front Porch Concert Series features free, live music on the front steps of Lakewood Public Library in Downtown Lakewood from 7 to 9 p.m. for 12 consecutive Fridays. The series, which aims to foster Lakewood’s vibrancy while providing a family-friendly summer entertainment option, runs through September 7. Week 6 of the series features Drumplay, a Cleveland-based ensemble that fuses jazz and folk elements while using world rhythms with a percussive pulse. Founded in 1992, this mainstay on Northeast Ohio’s music scene originally formed to play a show in place of another band that had just disbanded. Since then, it has spent many years wowing audiences with a unique sound built on improvised percussion. LakewoodAlive’s Front Porch Concert Series continues each Friday evening through September 7. During its 25-year history, Drumplay has performed with numerous talented musicians, toured both regionally and within Europe, released multiple studio albums and been named winners of the Best World Music Act in the Cleveland Free Times Music Awards. The band consists of J. Scott Franklin (trumpet, flugelhorn, lead vocals), George Lee (acoustic bass, whistling, vocals), James Onysko (djembe, bongos, bells, conch shells) and John Stebal (drum kit).